What a great surprise when I arrived home to see a fat green envelope with my name on it. The kelly green reminds me of shamrocks on Saint Patrick’s Day and of soft grass under your feet. I started to tear into the opening, and ended up fighting with the envelope’s seal. I pulled and pulled but no budge in this industrial strength bond. That’s one tough package. Must find more like it! Well, as always, I will start off with what spilled out first. Oooooo. What have we here?? 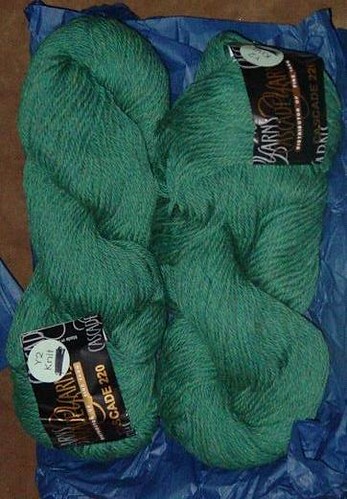 Cascade 220 in a gorgeous shade of green! I always loved the softness of Cascade 220. It was one of the first yarns I worked with (and still do). 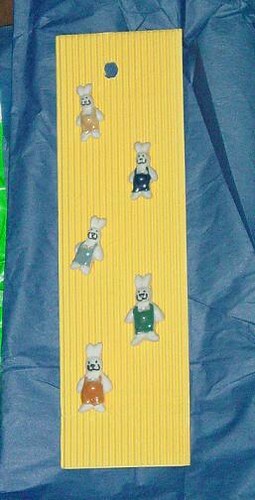 I… GOT… BUNNIES!!! And I know exactly which yarn and pattern I am going to use with them too! But that will be a surprise for you folks for later. Wow! 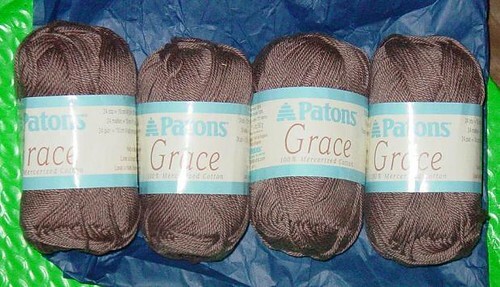 When Ruth had this yarn at her store, and I would find myself checking out the shine and softness. I never thought I would have some. And here is the final photo of everything together. 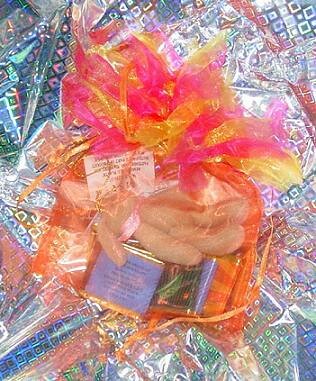 What a great package!! Looks like you have a wonderful Secret Pal. Hurrah!!! Man, this secret pal thing is fun! I think I’ll try and play the next time. 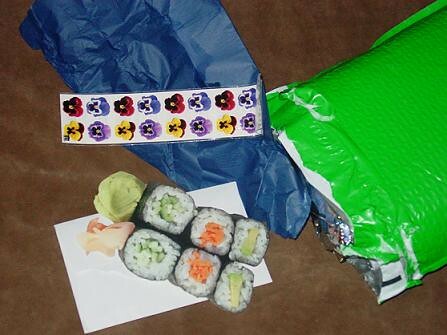 Hah, lucky you to get a fat green package! 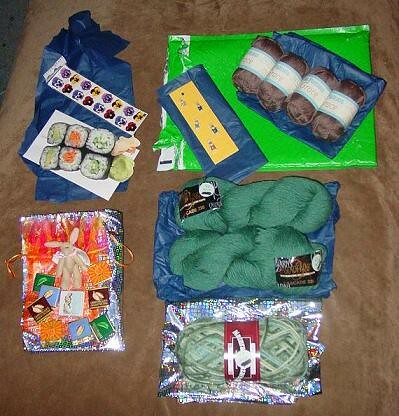 What a lovely collection of green things…I love that sushi card and Cascade 220!!! My absolute favorite! 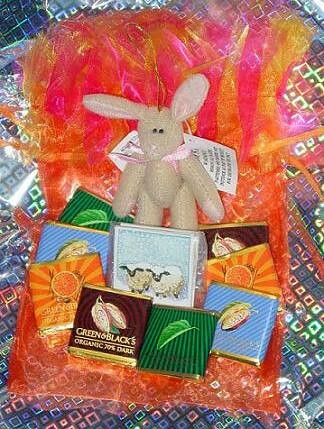 I heart everything you received!